Dr. Murray is an extraordinarily skilled spinal surgeon as well as a truly lovely person. After an unsuccessful back surgery 1 1/2 years ago that resulted in continued back pain and a new pain in my leg, I was lucky to find Dr. Murray. I had put off getting a spinal fusion for so long because of the pain and long recovery that I saw with people that had these surgeries. I eventually decided to have a minimally invasive spine fusion at L4-L5 and went home the very next day. 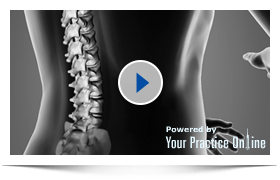 Prior to finding Dr. Murray, I thought that I was going to have to travel out of state to have minimally invasive spine surgery. Luckily, I heard about Dr. Murray from friends in the medical field. Dr. Murray is easy to talk to. He listens to you and does not make you feel rushed. I feel confident and on the same page with him after our first meeting and that has continued throughout our history. His follow up post surgery was the best and I would include his staff with that statement also. After discharging me from the hospital a few days after my surgery I had to return to the hospital with issues not related to my surgery. Dr. Murray continued to check in on me every day. Thank You Dr.
Dr. Murray has a friendly open manner and is a great communicator - he listens carefully and explains things well. My lumbar fusion was a success and very easy to recover from. Follow up was great - he is easy to contact and called me twice in addition to the post-op in-hospital visit. I have already recommended him to a friend who had a fusion two years ago and now needs more work. Very considerate, professional and has excellent relationships with his patients. Excellent doctor and surgeon. Would recommend to any person having back or leg issues. Before having spine surgery I did my homework... I got an opinion from another surgeon in Delaware and also went to the Rothman Institute. 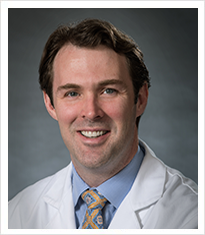 Dr. Murray exceeded my expectations and stood out, head and shoulders above the other doctors both as a surgeon and in his ability to connect with his patients. Dr. Murray was wonderful and very professional. he was very compassionate and spent a great deal of time answering all of my questions and concerns. He and his staff were quick to call me back when I had questions. I felt great immediately after surgery. I would definitely recommend him to family and friends. The surgery was a great success and I have not felt pain free in many years. Dr. Murray was very professional and did a great job in explaining my options. He explained my situation in terms that I could understand and gave me his recommendation on the course of action that would benefit me the most. I was very satisfied with my end results from my back surgery. I would recommend Dr. Murray to anyone suffering lower back pain. The consideration during the consultation, and the feeling of ease, made this experience so much easier. The staff and doctor were wonderful, and easy to talk with during the entire experience. The time everyone took to explain procedures was very helpful.